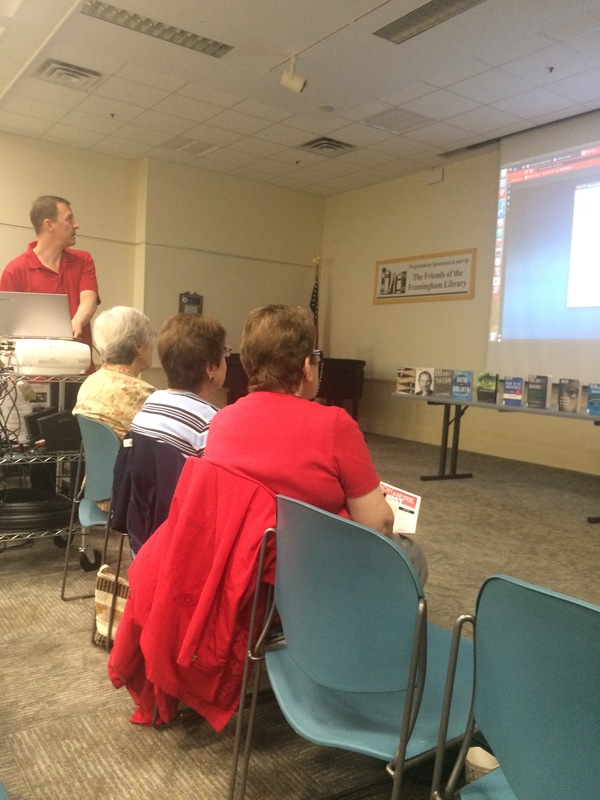 FRAMINGHAM- Never use the same password for every site you use, advised technology consultant Howard Cornett at the Framingham Public Library’s July Brown Bag Learning Series event. 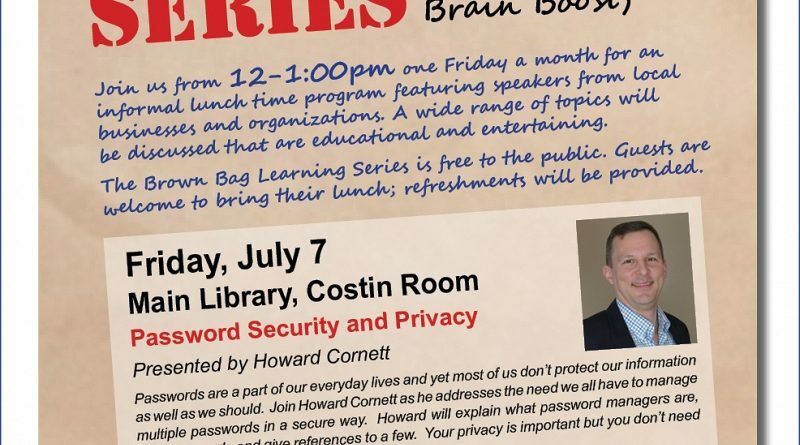 Cornett was the guest speaker on July 7 for an hour long discussion on password protection and security on Friday, July 7. A graduate of Georgetown University, Cornett is a technology consultant and the owner of Howard Cornett digital consulting in Framingham. One of the first and most important points made by Cornett was that security is a spectrum. It is not simply ‘secure’ versus ‘not secure’. It is all about opportunity. 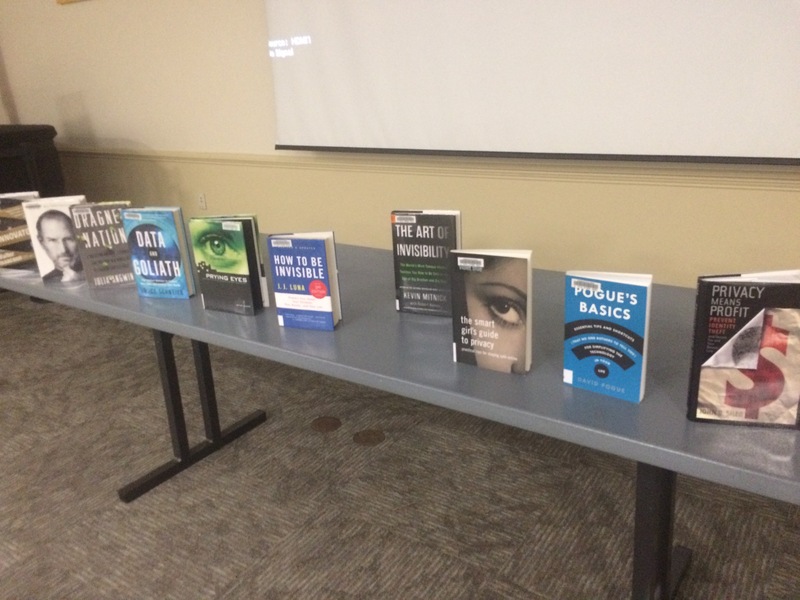 Cornett emphasized the importance of using simple precautions to become a harder target for people looking to steal your information. “If you make it harder for somebody and they don’t really have a reason to go after you, you’re pretty safe,” said Cornett. One of the first precautions to take is making a different password for each site you use that requires a login. For example, you shouldn’t use the same password for your online banking account that you use for your email account. Cornett also advises that you switch your usernames for different sites as well. This is due to the fact that if someone gets ahold of the username and password pair, they are likely to get ahold of your other accounts as well. “I’m scaring the heck out of you, but it’s an easy fix,” said Cornett. 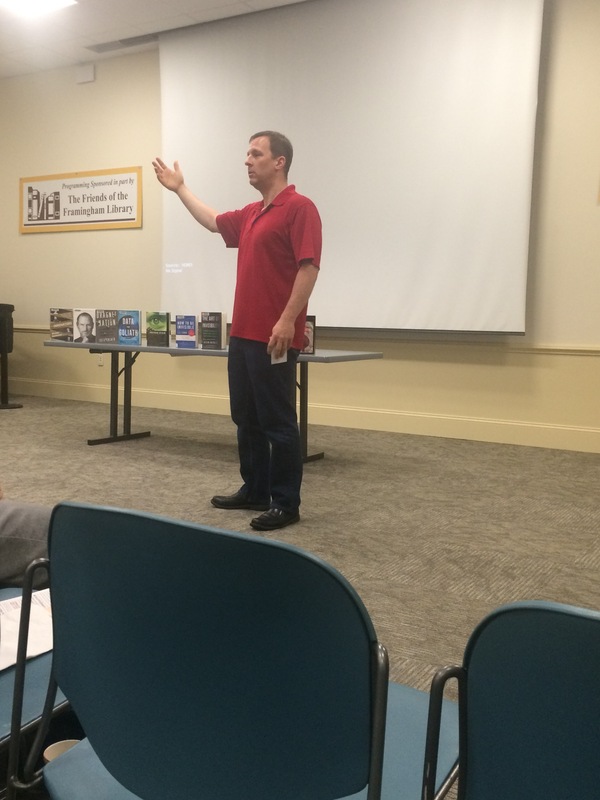 The speaker also emphasized the importance of creating a password that is difficult for others to guess. Ideally, a password should consist of 20-25 characters. The passwords should not be something obvious like your birthday or the name of your dog. Instead, Cornett suggests using a pass ‘phrase’. For example, you could use your favorite verse from the Bible or a quote from literature that is not well known. As far as keeping track of the passwords goes, Cornett suggests keeping them written down in a notebook. Though one may be hesitant to write down their passwords at first, Cornett assures as long as you keep it in a safe place, it is fine. “Who’s going to break in and take your little black book of passwords?” he asked jokingly. Another way to create a safe password, as Cornett pointed out, is to use a password manager. Essentially, a password manager is a tool that helps you generate unique passwords, store unique passwords, and insert those passwords into the login page of websites. The only password you need to remember is your password for the password manager. Once you successfully log into the password manager, you have access to all of your passwords for the different sites you use. For example, if you use KeePass as your password manager, once you log into KeePass, you will be able to access all of your different passwords you created for sites such as Amazon, Gmail, Netflix, etc. A password manager, such as KeePass, allows you to generate random passwords that have up to 64 characters. If you are logging into your Gmail, you can go into KeyPass and copy and paste your 64-character password into the Gmail login page. As Cornett points out, the more characters your password has, the less likely someone is to figure it out. 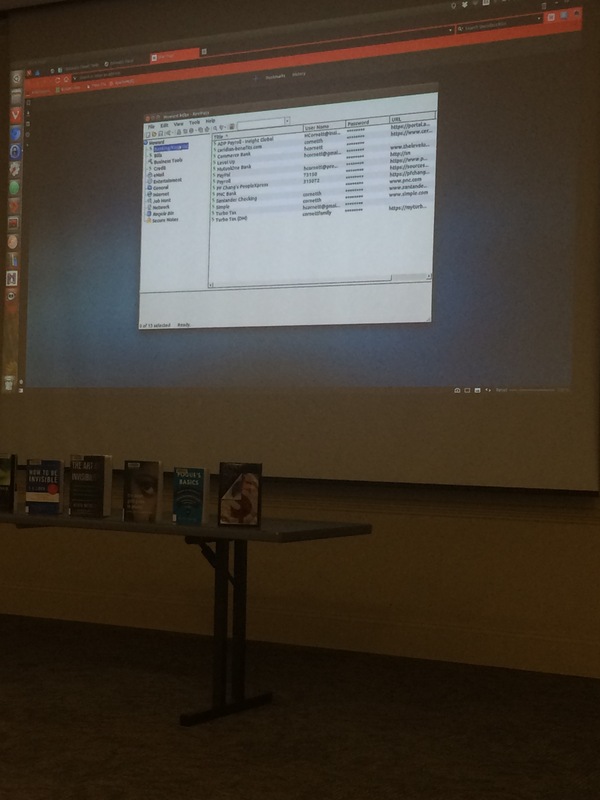 Cornett recommends using password managers such as KeePass, LastPass, or 1Password. If you are only looking for a password manager for one device, there are several free options. However, if you are using a password manager for multiple devices, you will most likely have to pay for a premium package. These packages are typically affordable and cost about $12/ month. Before the talk ended, Cornett shared several more small pieces of advice. He advised against using facial recognition technology to log into a device. This is because the technology is not safe enough quite yet. He pointed out that someone with a high-resolution photo of you might be able to pass the facial recognition security on your device. Cornett also warned that you should not open any attachments on emails that you were not expecting. For example, even if you get an email from your sister with an attachment of a funny picture, you should call her and double check that she sent you an email before you open the attachment. Opening a fake email could lead to a virus or a security breach. Since she was little, Shauna knew that she wanted a career in a field that would allow her to practice her love of writing on a daily basis. While attending Framingham High School, Shauna took several journalism and television production classes. It was during her experience in those classes that Shauna recognized her dream of becoming a journalist one day. She graduated from Framingham High School in May 2014. Now, at 21-years-old, Shauna is a rising senior at Quinnipiac University in Hamden, Conn. She is studying journalism with a minor in French language. Shauna hopes to use her passion for writing to better the world one day. She has a drive for delivering news and using all forms of journalism (print, digital, and broadcast) to deliver those stories. Shauna is expected to graduate from Quinnipiac University in December 2017. After graduation, she looks forward to entering the communications field and continuing to learn and grow both as a journalist, and as a person.